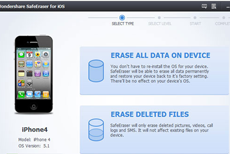 iPhone Data Eraser is the ideal iDevice "erase" application designed to permanently wipe all personal information from the device using US Military spec over-writing technology to render the data unrecoverable; returning the device to alean slate state before you resell, donate or trade it in. Meets Mil-spec DOD 5220 22 M standard for permanent data destruction; prevents personal data from being recoverable. 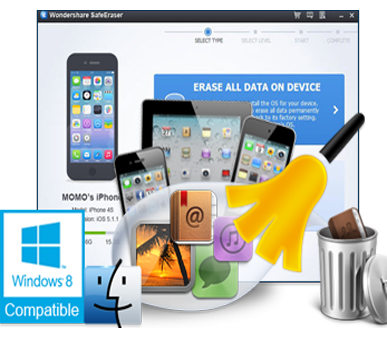 Completely Wipe all personal data from Android devices Without rooting,restore the device to factory setting. 100% Permanent Erasure of Your iDevice Data, Nothing Recoverable! No matter you decide to sell your old iPhone 5/4S/4 on eBay as a second-hand product, trade-in for some new device like iPhone 5s/5c or donate it to charity, you'd better wipe all the data in your iPhone so as to prevent your important private information from being stolen by identity thieves. 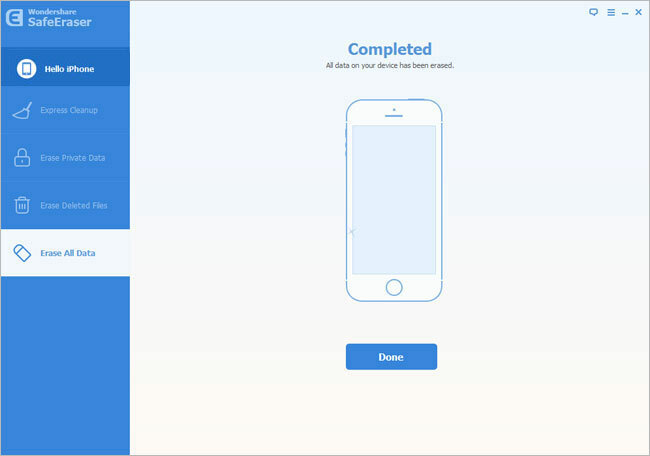 Use iPhone Data Eraser, you can perform the erasure by yourself. 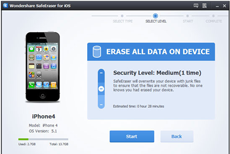 iPhone Data Eraser is an outstanding program that empowers you to erase the iPhone data including contacts, SMS, pictures, videos, call logs, and so on, permanently and become unrecoverable even if you use iPhone Data Recovery. 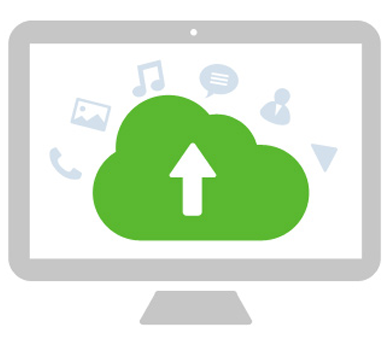 If you choose this mode, all your data that stored on your iPhone, iPad or iPod touch will be all wiped permanently with fastest speed. 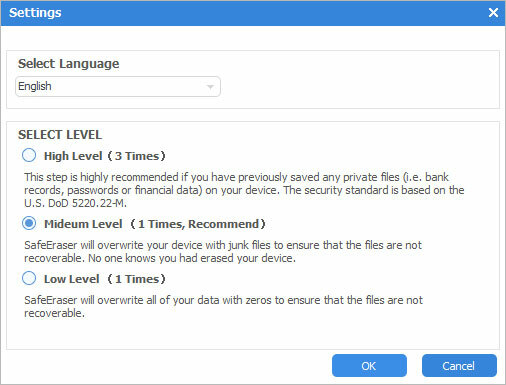 This option writes two passes of random data followed by a single pass of the detected data over the entire iPhone device. It empowers the data erasure to be untraceable. 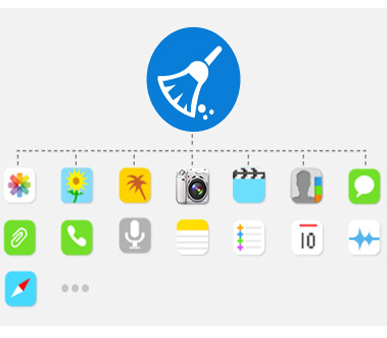 All the data on your iOS devices including existing and deleted data will be overwritten by random data. 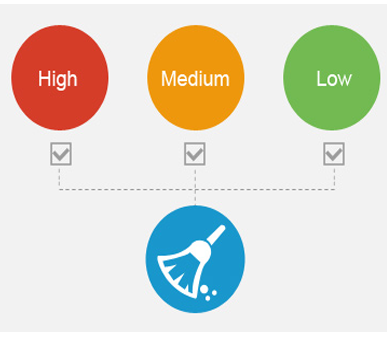 This is the most safe data destruction option. It writes over the data 3 times by using then standard of DOD 5220 - 22 M. Nothing can retrieve these erased data afterwards. It will last a longer time but it is the most recommended because it is the safest one. It is impossible to recover these data that was already wiped by iPhone Data Eraser. 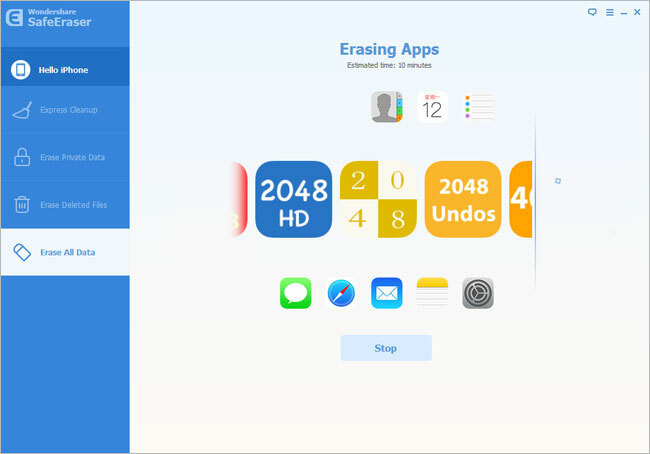 Note: For iPhone Data Eraser can wipe your iPhone data permanently and no software can recover them back now, you should remember to backup the data that you don't want to lose before you erase iPhone data with iPhone Eraser.